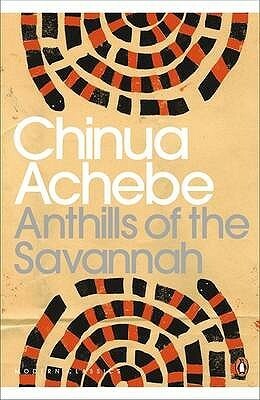 Chinua Achebe died on March 21st, 2013. Achebe writes about the political and social problems facing newly independent African states. Anthills of the Savannah transports the reader to the West African country of Kangan, a fictional Nigeria, in the wake of a revolutionary coup that overthrew a dictator. Achebe discusses the strict balance of power that must be maintained in order to sustain a democracy, and the fine the line that is tread between leader and dictator. Nothing. The writing was different but I can’t really pinpoint what was different exactly. Honestly, everything! what a great story. one of my best book ever. Well, short answer is a lot. The reader should expect to feel – not in any specific order – excitement, fear, dismay, sadness, happiness, anxiety and at one point you will have to put on your Alfred Hitchcock hat to solve mysteries. Like I said, great book, must read and I recommend. I need sadly only one book up to now “Things Fall Apart”. I need more and more to read him. The old man is still looking good. Any idea where I can buy this book from Africa (Cameroon based)?